European Data Protection Board is updating its Opinion 1/2010 on controllers and processors in the view of producing guidelines. 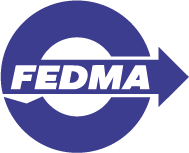 EDPB organised a workshop on the 25th March to which FEDMA participated. The EDPB published their work program which provides for revision of certain key guidelines (Guidelines on Data Protection by Design and by Default, Guidelines on Targeting of social media users, Guidelines on children’s data, Guidelines on reliance on Art. 6(1) b in the context of online services, Guidelines on concepts of controller and processor (Update of the WP29 Opinion), Guidelines on the notion of legitimate interest of the data controller (Update of the WP29 Opinion), Guidelines on data subjects rights with main focus at a first stage on the rights of access, erasure, objection, restriction and limitations to these rights). On 26 February, the European Parliament’s Civil Liberties, Justice and Home Affairs Committee (LIBE) discussed the implementation of the General Data Protection Regulation (GDPR) and the role played by Data Protection Authorities (DPAs) with Ms Andrea Jelinek, Chair of the European Data Protection Board (EDPB), Mr Willem Debeuckelaere, President of the Belgian Data Protection Authority, and Mr Emmanuel Crabit, from the European Commission’s DG JUST. An overview of this debate is available here. In light of the new rules applicable since May 2018, the speakers underlined the need for increased human and financial resources for DPAs, which are the main enforcers of the GDPR, and play a crucial role to ensure effective functioning of this governance model, also as EDPB members. Furthermore, the debate addressed the ability of EDPB to act as well as the general enforcement of the EU law. You can find here the EDPB “First overview on the implementation of the GDPR and the roles and means of the national supervisory authorities”. It provides statistics and information on the number of complaints and data breach notifications. This document was the basis for the Commission infographic published mid-January.